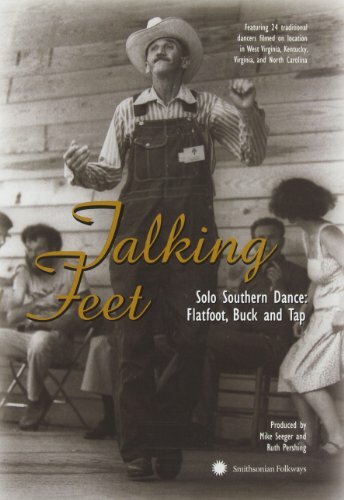 "Buck dancing" and "Flat footing" are solo dances. Even if several people dance together, each one dances according to his own style. 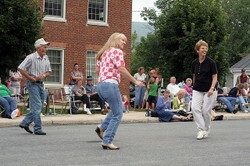 Buck dancing and flat footing are traditional Appalachian dances. People dance in a small area of their own; no one worries about dancing the same steps as everyone else. Buck dancing is a general name for any type of fast paced solo dance. Buck dancing is similar to tap and clog dancing, but with steps designed to create more sounds per beat. Flat foot dancing is mostly dancing with the feet close to the floor and without the shoe soles making much noise. The flat foot dancer seems relaxed while he dances, even though his feet are moving quicly. Flat footing is often called buck dancing, too. Buck dancing and flat footing are also called jigging, hoedown, stepping and clogging, although clogging is not usually a solo dance. People often clog in groups where they dance to the same steps. Traditional Appalachian dancing is still popular today and danced by people in all areas of the United States. Appalachia (App-a-latch-i-a) is named for the Appalachee Indians. The Appalachian Mountains begin in Belle Isle in Canada and continue to Cheaha Mountain in Alabama. Appalachia is not only a physical region, but also a cultural region, usuallyreferring only to the central and southern portions of the range. The Southern Appalachians are in eastern Kentucky, southeastern Ohio, West Virginia, Virginia, North Carolina, South Carolina, Georgia, Alabama, Mississippi, and Tennessee. View from the slopes of Back Allegheny Mountain, looking east, in the Appalachian Mountains, North America. Buck dancing is freestyle solo dancing. Many of the buck dancer's steps are similar to basic clogging steps, but buck dancers add in more stomps and shuffles in order to make more sounds per beat than in regular clogging. Irish, Scottish and English immigrants shared their dance steps, which evolved into Appalachian dancing. Later, Cherokee Indian ceremonial dances and black minstrel shows probably influenced dancing styles, too. In buck dancing, steps are danced on the balls of the feet, then the heel clicks on the floor, and back to the ball of the foot. A buck dancer doesn't often wear taps like cloggers do. There aren't many documented buck dancing steps so people learned the dance by watching and imitating. Buck dancers usually dance alone and in a small area of space. A buck dancer might even bring his own portable dance board. If other dancers join in, each one dances individually to the rhythm of the music without trying to imitate the dance steps of others. Photo by Arbogast Inn on flickr creative commons. Flatfoot is a freestyle solo dance where the dancer keeps both feet close to the floor. There aren't many standard steps; each person just dances to the rhythm of the song. Flatfoot dance steps are made by sliding the feet with a shuffling movement. The shoes do not make a loud noise, like in buck dancing and clogging. The body stays erect but loose, and the arms move only slightly to help with balance. If more than one person wants to dance, they each dance individually, but still to the rhythm of the music. Flatfoot dancers dance in a small area; some even bringing their own portable dance board. Years ago, houses had small rooms. In order for several people to dance at once, especially in winter when they couldn't go outdoors, dancers had to dance within their own space and without swinging their arms. 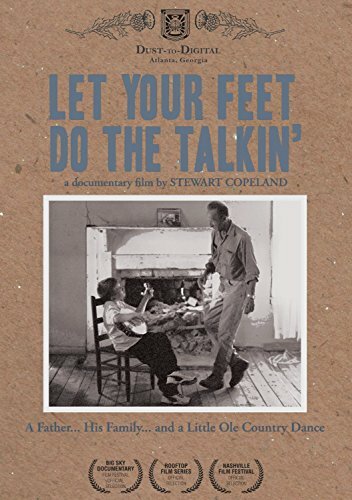 You can flatfoot dance on any hard floor, on a porch or deck, or if you have a piece of plywood or your own portable dance board, you can dance anywhere you like. Photo by EadaoinFlynn on flickr creative commons. See How People Dance to Their Own Steps? A Poll - What Type of Dancing Do You Like? Bloch S0388 split sole tapflex shoe features a full leather upper, Kashmir lining, attached Bloch Shockwave taps and a hard leather stacked heel. I really enjoyed this. The article was fun :) and I liked the videos you chose. "Shoo-Fly Pie and Apple Pan Dowdy" are the names of two wonderful Pennsylvania Dutch desserts. It is also the title of a song published in 1945.